High quality black cotton blend T-Shirt. 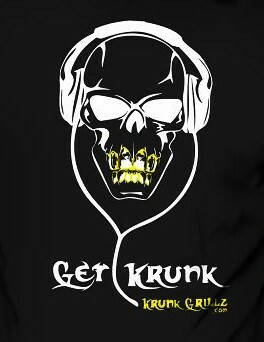 Says "Get Krunk" and our logo under. Skull with a grill will let 'em know what time it is.